You’ve filed all the right documents. You’ve given your customs broker Power of Attorney. You’ve done everything right, you think — and then comes the notice: you’re being audited by U.S. Customs and Border Protection. Before you panic, you should know that despite a not-uncommon misunderstanding, being selected for an audit is not necessarily a sign you’ve been suspected of wrongdoing. The CBP’s selection criteria for a customs audit includes your prior compliance history, sure. But it also includes import volume, participation in certain duty programs, and even a list of items that are flagged for high-risk. 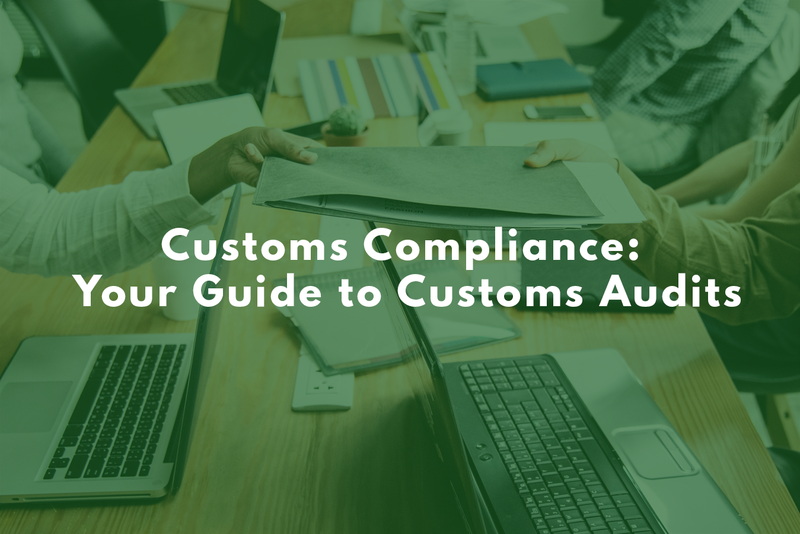 To best prepare you for any potential audits, we’ve put together a guide to the customs audit methods CBP uses. Who is Subject to a CBP Audit? Anyone who is transacting business with customs can be audited. Small and medium-sized importers are the primary subjects of the traditional style of comprehensive audit you likely think of first. Large importers — those importing over $100 million worth of goods annually — have mostly been transitioned into the Importer Self-Assessment (ISA) program and thereby are generally exempt from the CBP’s largest audit. However, they are still subject to shorter audits, as are small and medium-sized importers. Your likelihood for being selected for an audit of any kind increases when you’re importing commodities that have been assessed as high-risk. This means importing goods like apparel, automobile parts, agricultural goods, and the like may catch the CBP’s attention. The majority of audits are to ensure you’re not importing counterfeit or unsafe goods. Focused Assessments (FAs) are the CBP’s most comprehensive audit. With the ISA knocking large importers out of the general FA audit pool, this is the audit that primarily concerns small and medium importers. If you’re selected for an FA, the first stage of the process you’ll go through is the Pre-Assessment Survey. During this phase, customs will appoint an auditor to inspect and assess your operations. They’ll go over your entry records and ledgers — any documentation related to customs. This process should motivate you to make sure you’re following the law down to the letter even when you’re not being audited. Companies that pass this stage don’t necessarily move on to the second stage of the auditing process and if this first step shows that they are compliant. If CBP does determine your records and controls have been insufficient, however, you’ll proceed to the second stage: Assessment Compliance Testing. At this stage, customs will inform you of the areas where your compliance is lacking. You can’t avoid being at risk for an FA if you’re a small or medium importer, and you certainly shouldn’t have to stop importing high-risk items if you’re compliant. The best way to be prepared for an FA is to keep impeccable records and tight internal controls on your business so that there’s little risk of the FA heading to stage two. If you’re a large importer, enrolling in the ISA program is your best bet for avoiding being the target of an FA. Unlike the Focused Assessment, importers of any size may be subject to a Quick Response Audit (QRA). The QRA is for single-issue compliance inquiries and is a much faster process than the two-stage FA. There is no single, universal QRA. This is because the audit objectives tend to be different for each case, which itself is a product of how a company is selected for a QRA. If you’ve been given notice that the CBP will be conducting a QRA, there is a good chance your company was referred to the CBP by an office monitoring risk management. The referral reasons differ each time, hence the lack of universal QRA. It is important to note that even if you have been flagged for a QRA, you are still not being charged with any wrongdoing — the CBP may simply wish to check on your controls for IP rights, for example. There are some similarities between QRAs of all kinds. If you’re being audited through a QRA process, you and relevant members of your organization will be interviewed, and your documents will be reviewed. Then, CBP will let you know if it considers the results an acceptable or unacceptable risk and where to go from there. Again, you can’t avoid being the potential target of a QRA — even ISA importers can be targeted. Like the FA, a QRA will be resolved quickly if you have comprehensive records and tight internal controls. Finally, there are audit surveys, which — contrary to the name — aren’t audits at all! Like with the QRA, a company in the ISA program is not exempt from audit surveys. Small, medium, and large importers alike may be the subject of one. An audit survey is an even briefer look at a specific area of your operations than the QRA. The survey is intended to give the CBP a snapshot of a specific area of concern within an organization in a way that allows them to assess risk without needing to assign a final judgement. If you’ve been selected for an audit survey, you’ll only receive a letter informing you that the survey is finished instead of a judgement on your compliance. Note, however, that their findings may put flag you for a full audit. Again, the goal of this process is to make sure companies comply with the rules and regulations even when there are no immediate compliance rulings in an organization’s future. Plenty of completely legitimate importers are audited each year as a routine part of the efforts the CBP takes to ensure the goods entering the country are safe and legitimate. As long as you comply with the law, and follow the CBP’s instructions and the advice of your expert customs broker, you should be fine! Don’t try to navigate an audit alone — reach out to us as soon as you receive notice you’re being audited and we’ll work together to make sure the process as smooth as possible for everyone involved.